Landmark 50th issue! In "Mashup," SpongeBob and Patrick merge into one being--but SpongePat can't stop there. Soon the entire population of Bikini Bottom is one composite creature! 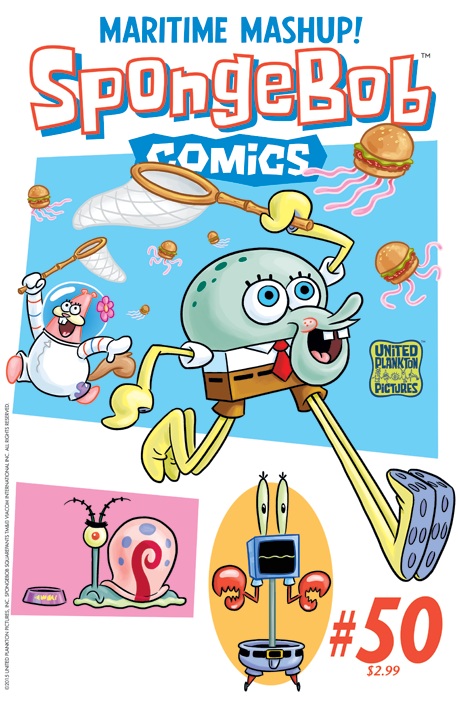 Plus: A parody by Kaz, Krusty Krab confusion by Sam Henderson, a tale of SpongeBob OldPants by Michael T. Gilbert, and pinups by Lynne Naylor, David Petersen, and more!